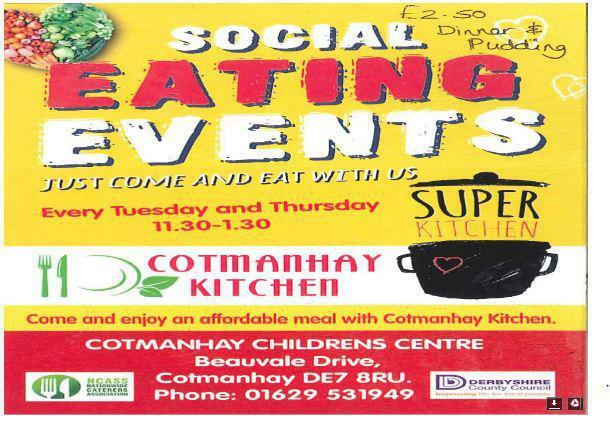 We've just been advised that Cotmanhay Kitchens are holding a Social Eating Event every Tuesday and Thursday from 11.30-1.30. Food is donated by supermarkets and prepared on site by volunteers as part of the Thriving Families work and Derbyshire Healthy Eating Initiative. A contribution of £2.50 is required but this includes a main course and pudding and represents great value for you and your family. You can opt to take the meal away or eat on site.